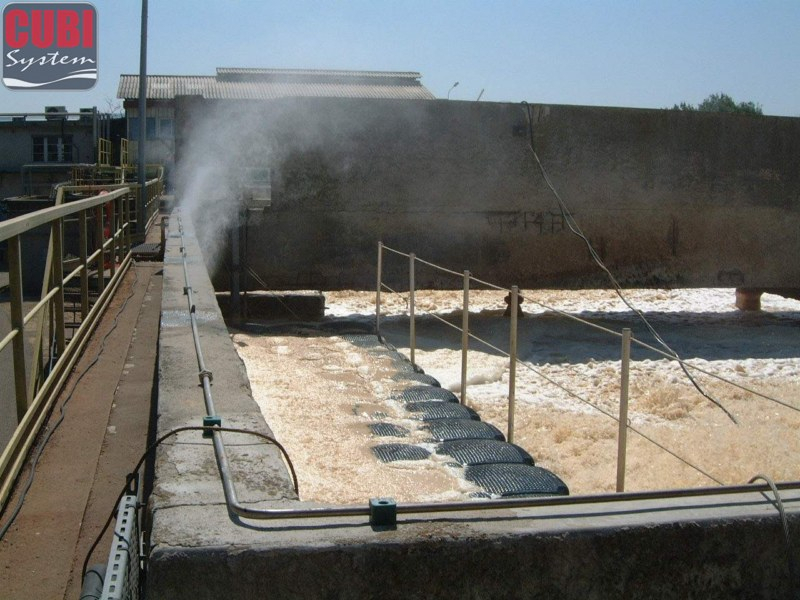 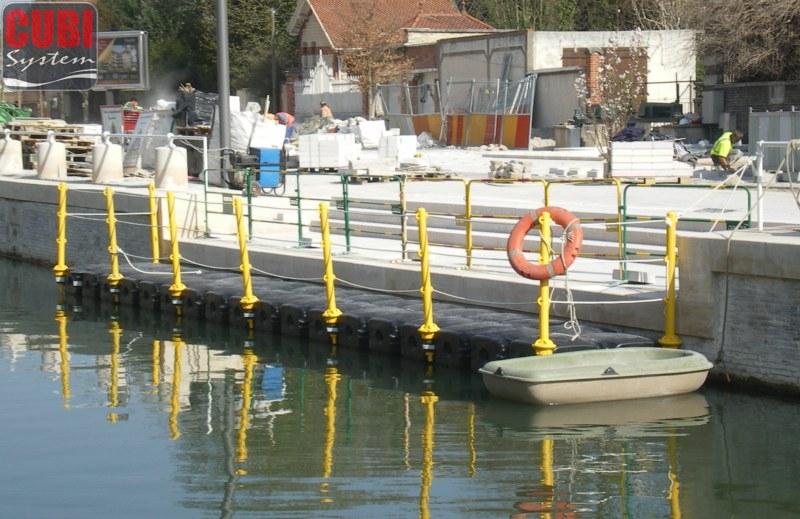 In the building and public works industry numerous companies use CUBISYSTEM pontoons to work on water. 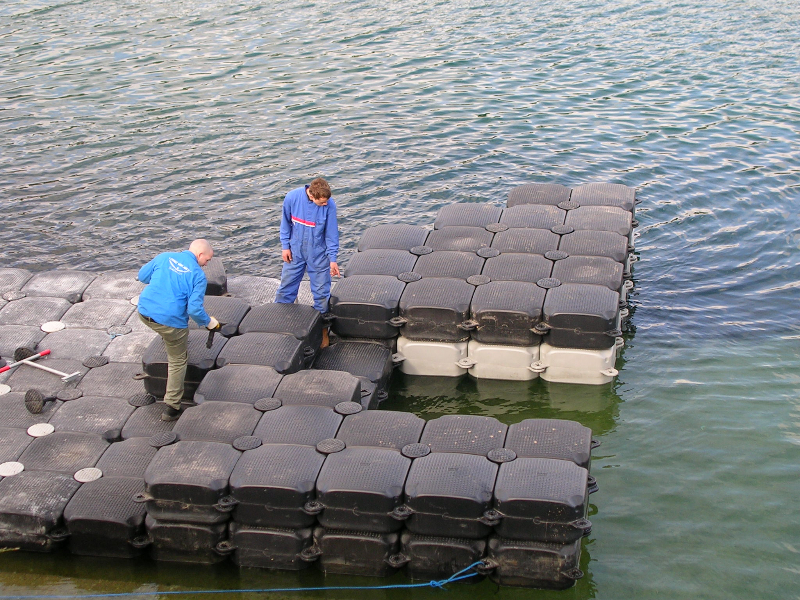 In the building and public works industry numerous companies use CUBISYSTEM pontoons to work on water. 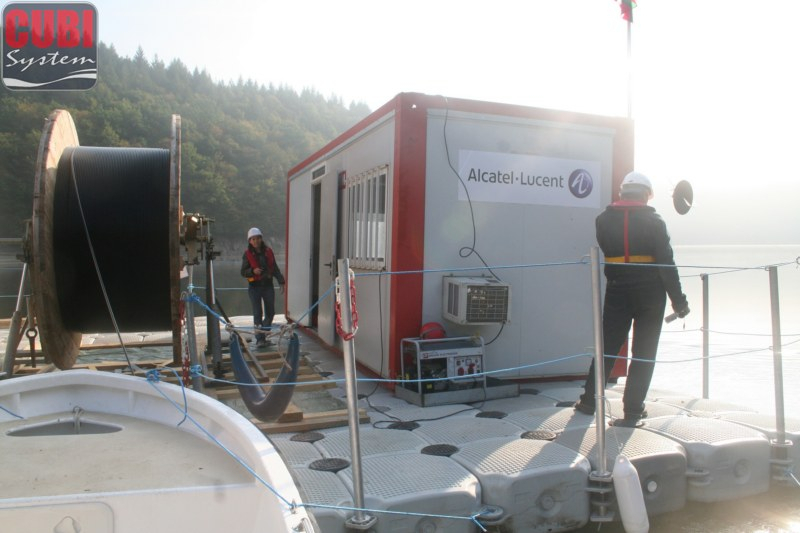 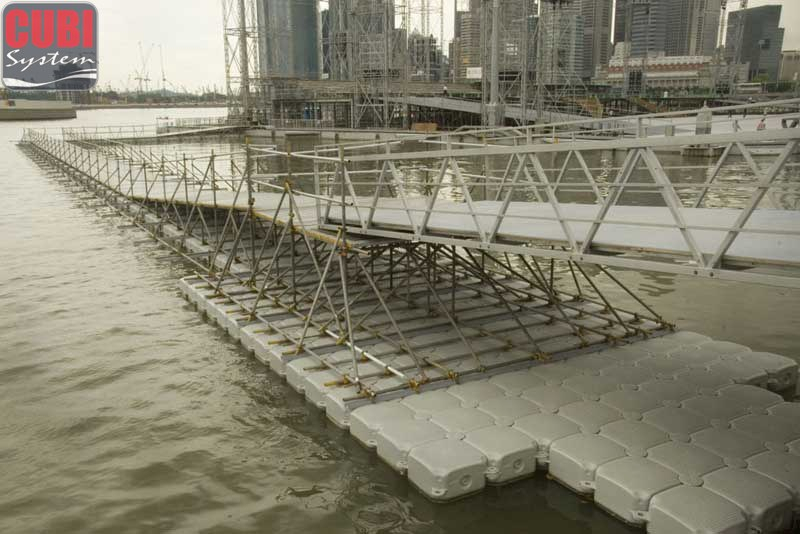 Working platform, barges for shifting heavy equipment, floating bridges, pump supporting platforms, floating scaffolding etc… The possibilities are endless. 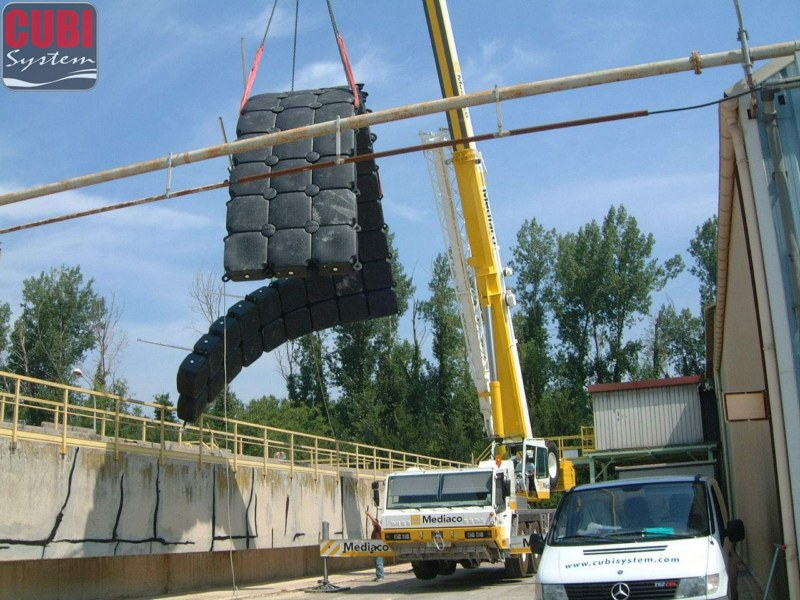 Over the years a growing number of industries continue to rely on CUBISYSTEM products and services. 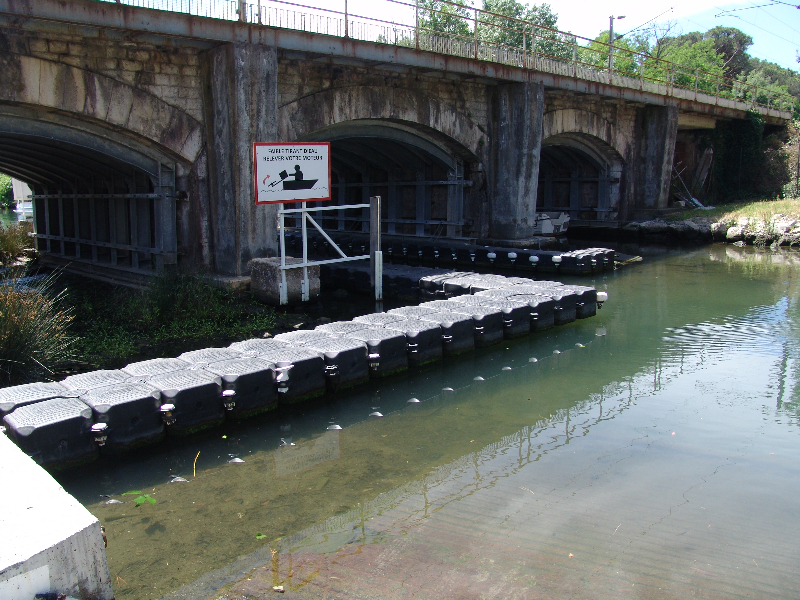 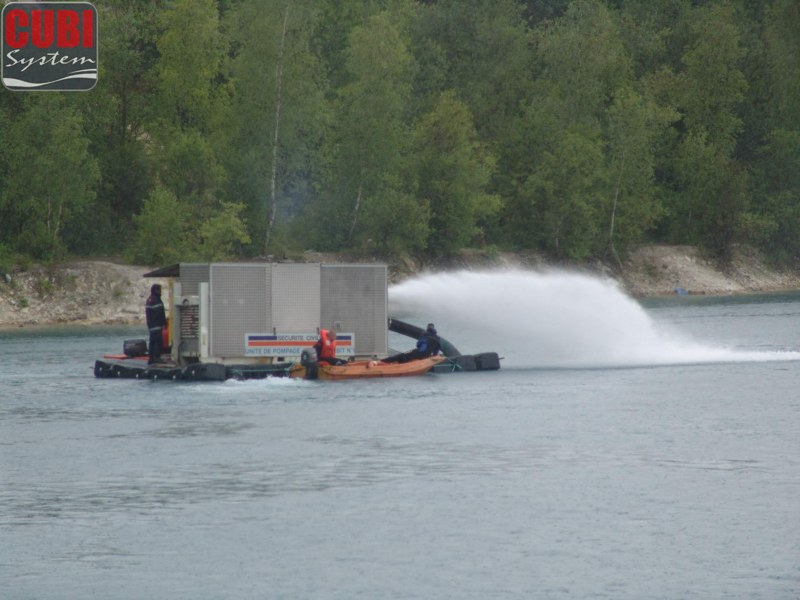 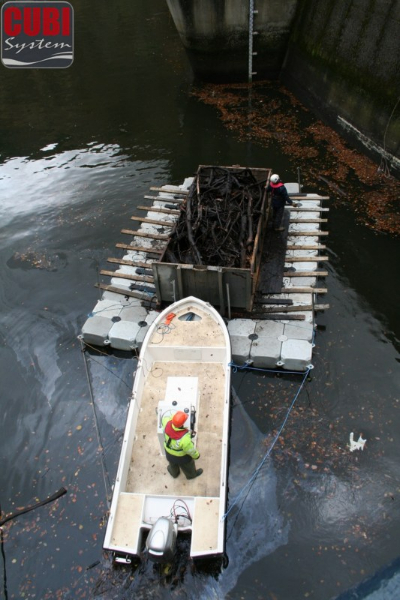 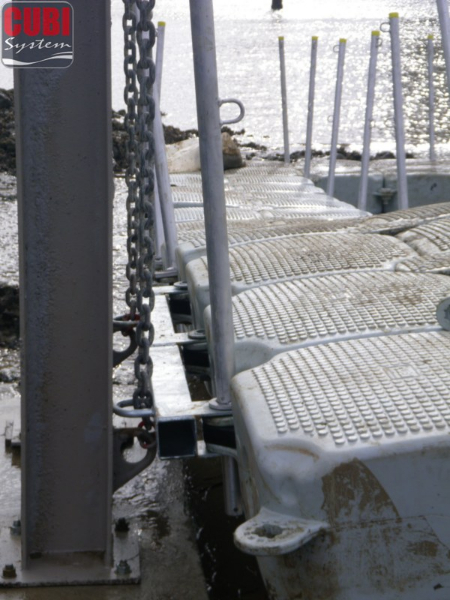 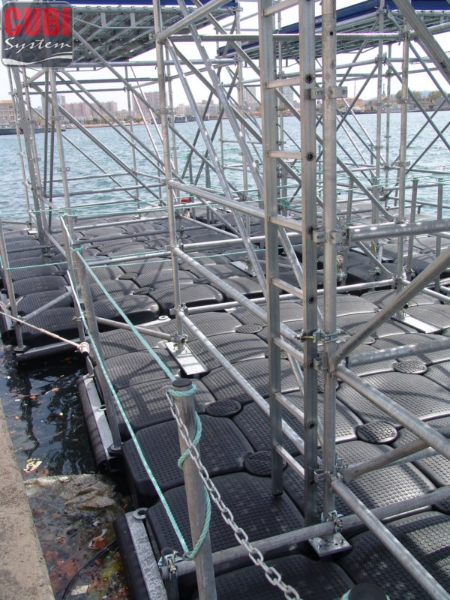 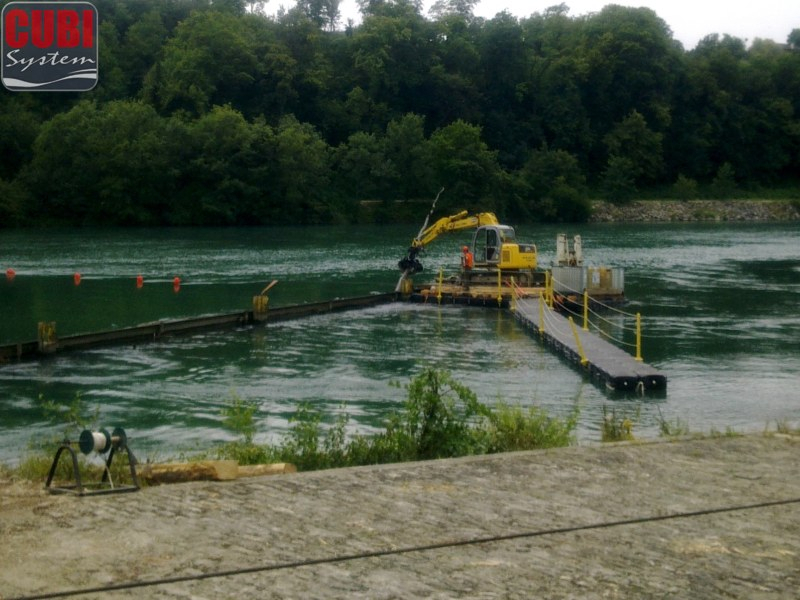 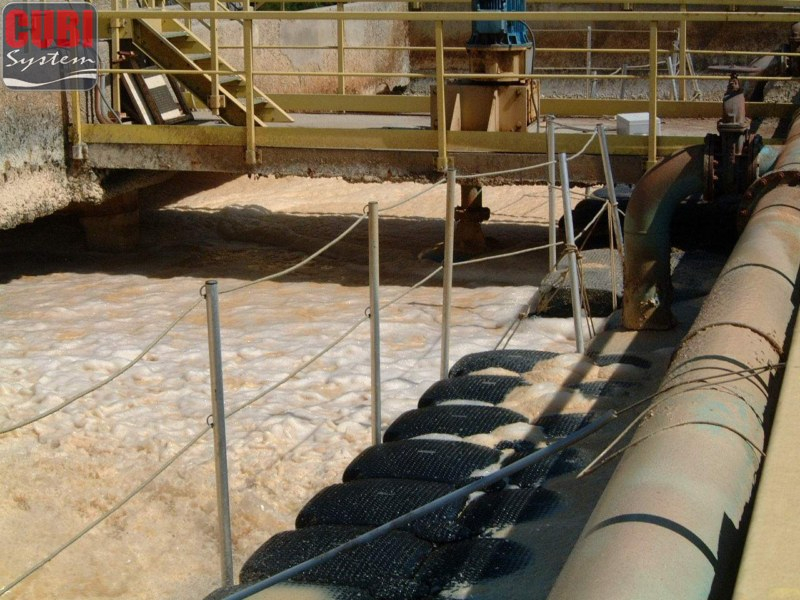 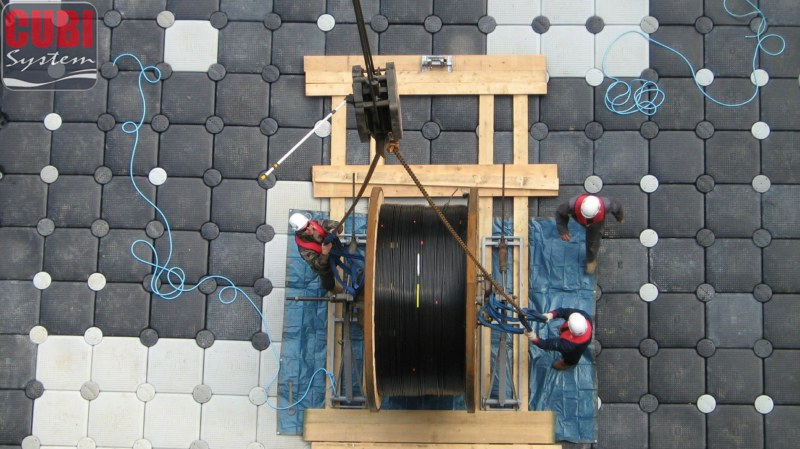 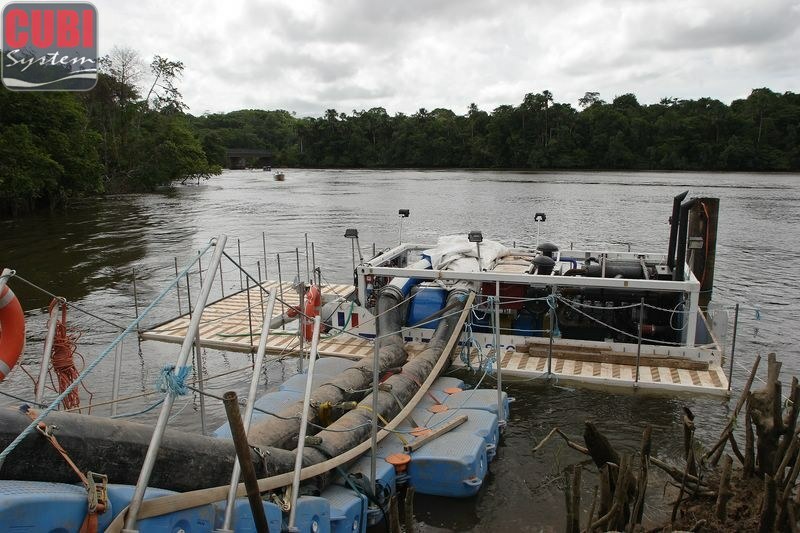 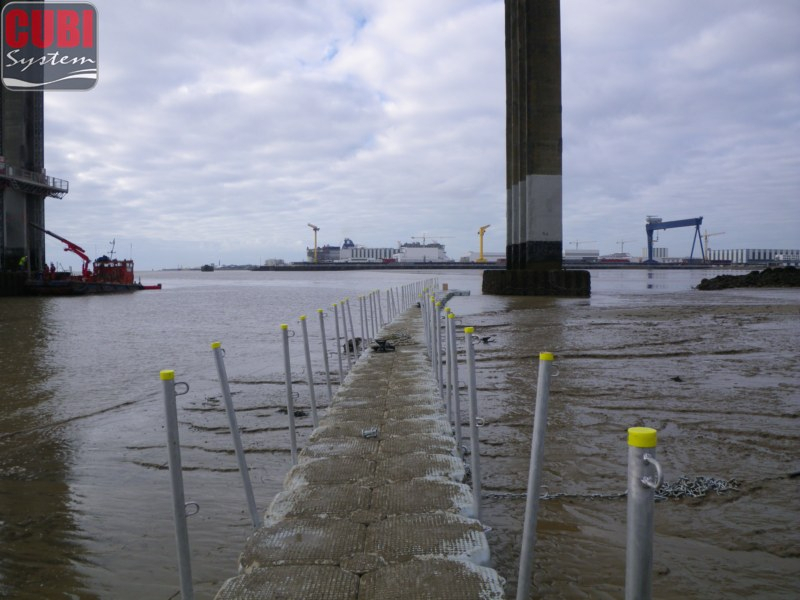 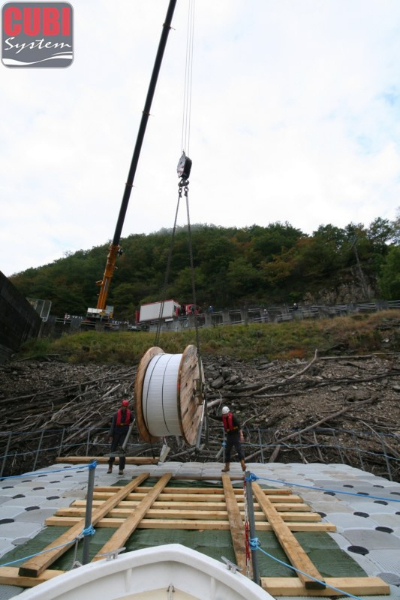 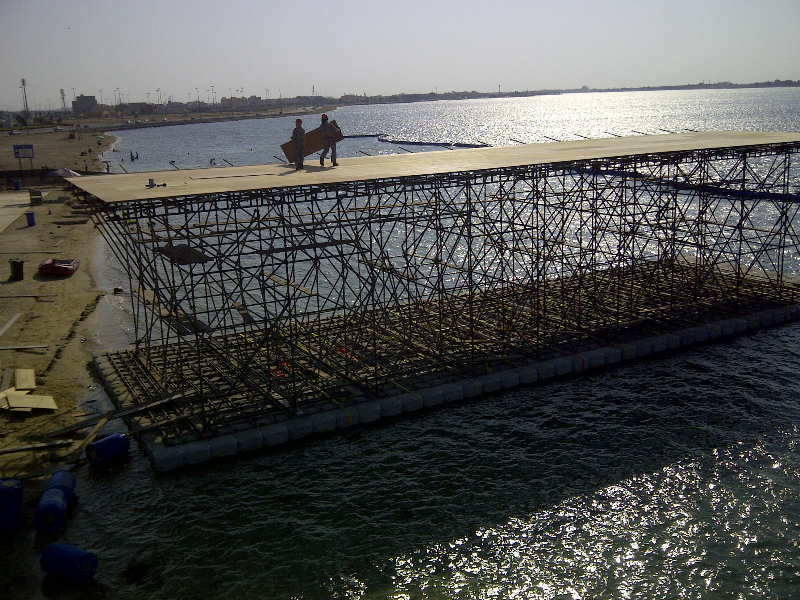 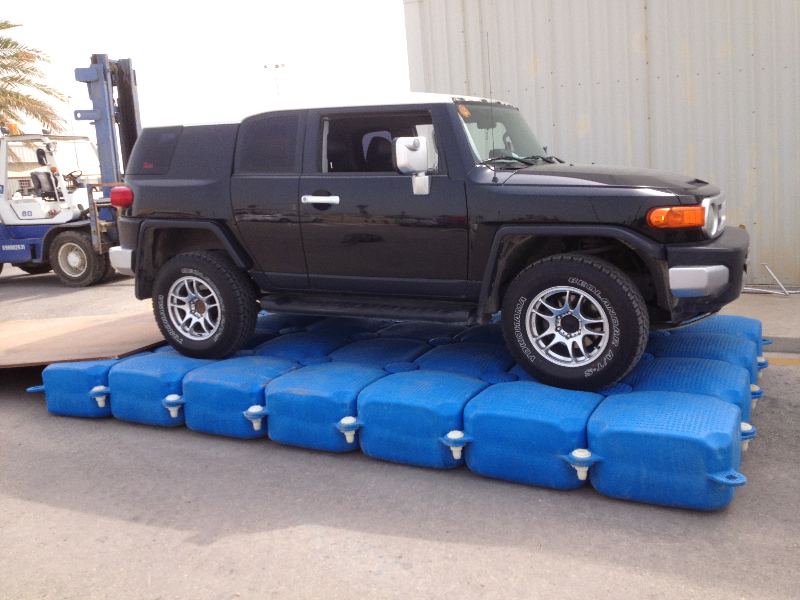 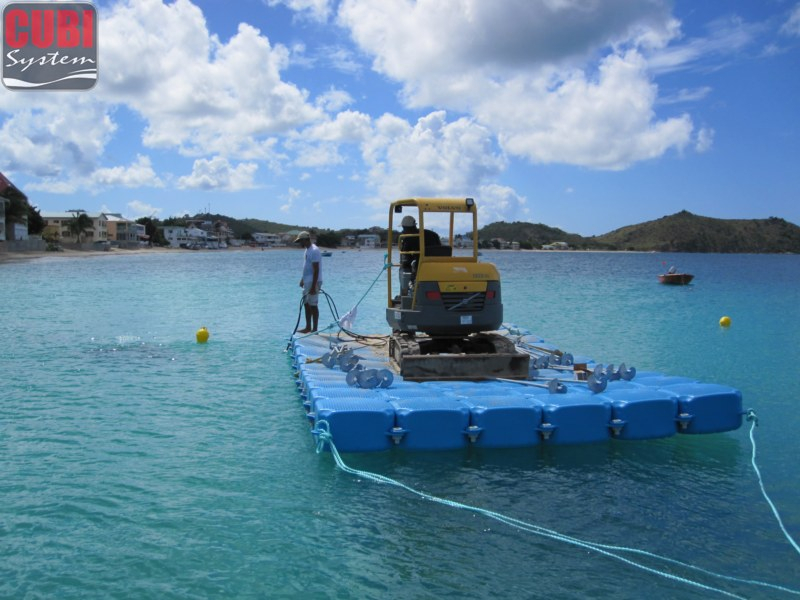 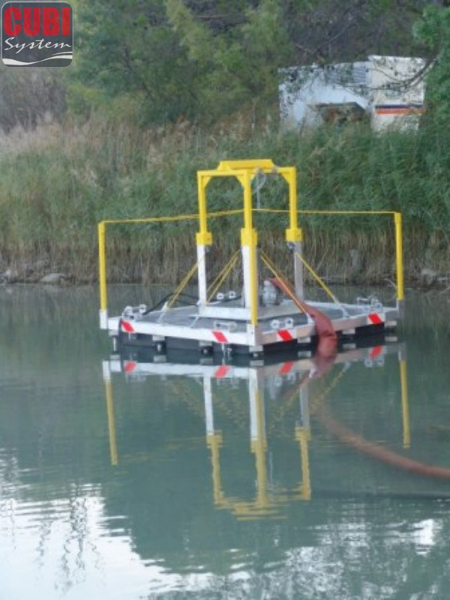 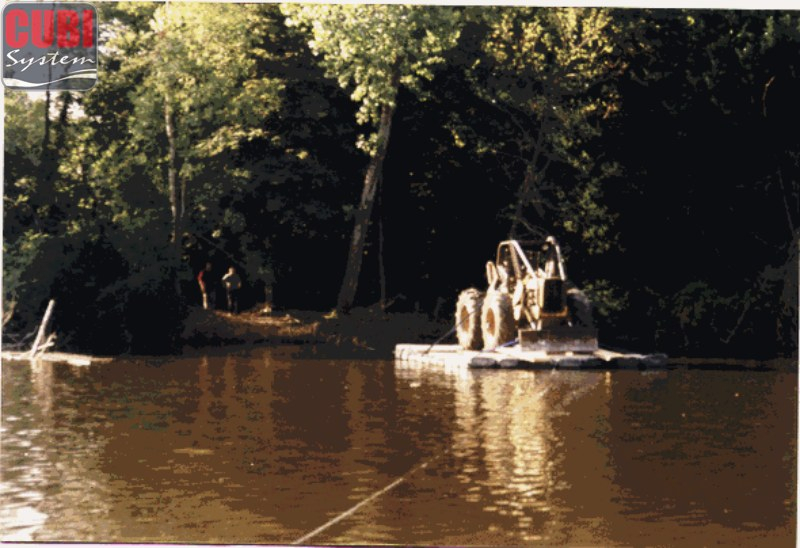 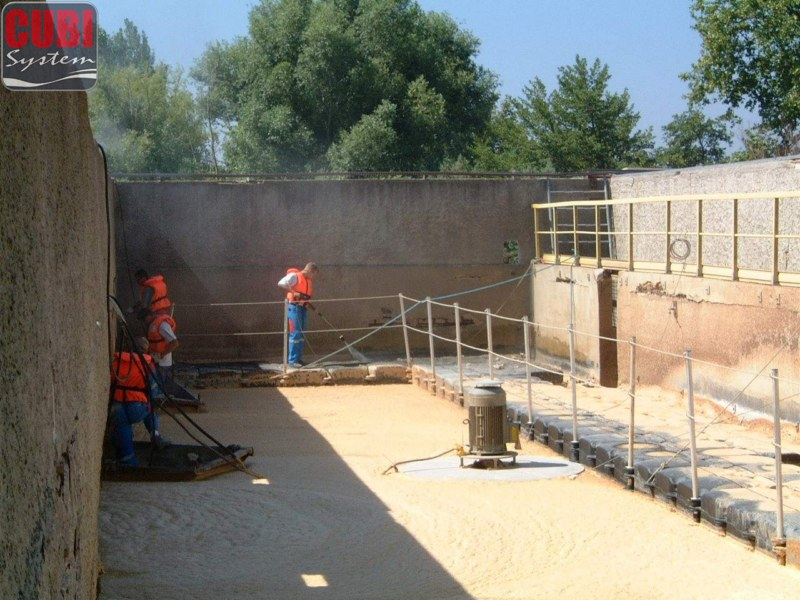 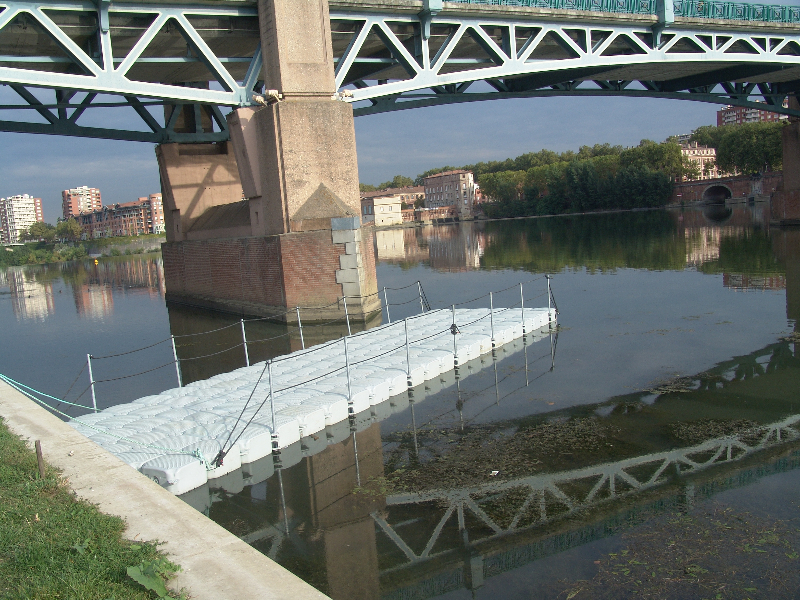 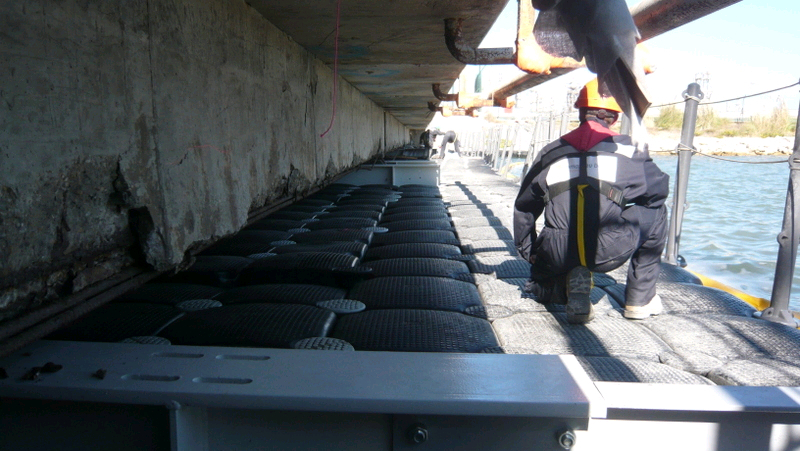 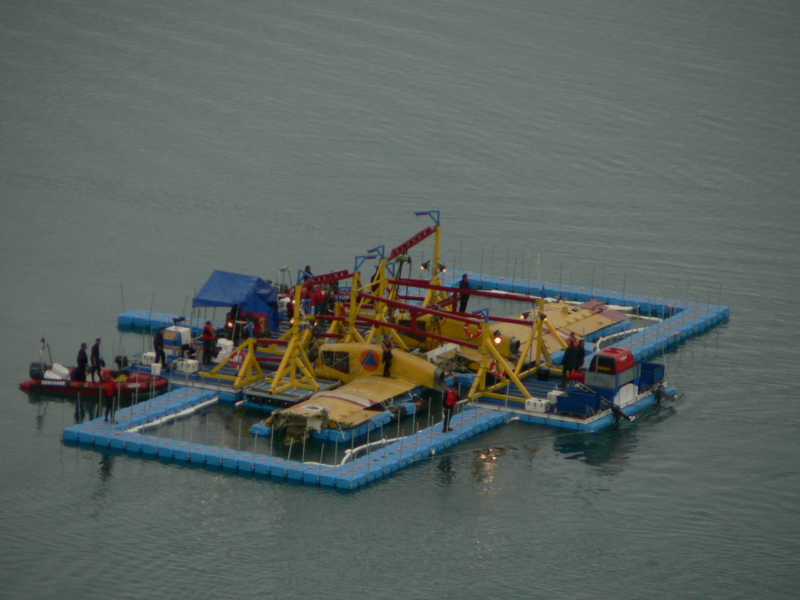 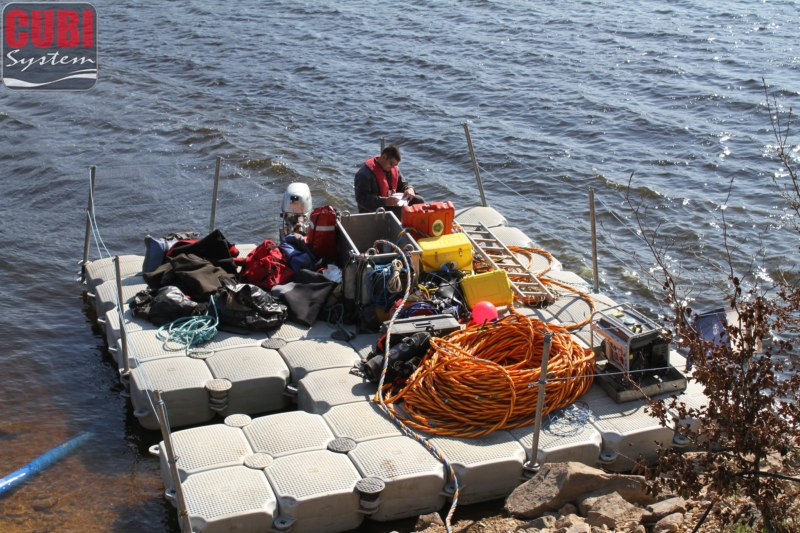 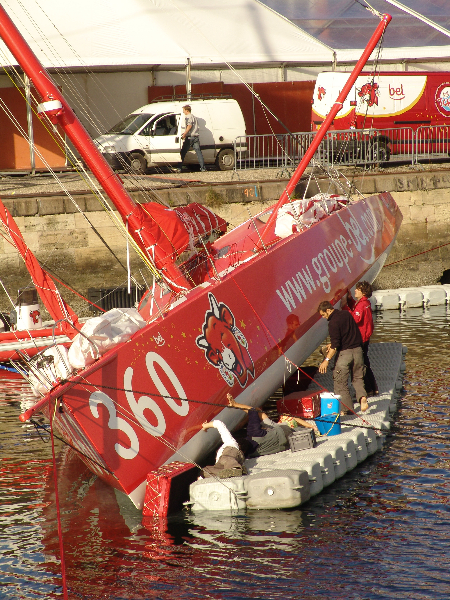 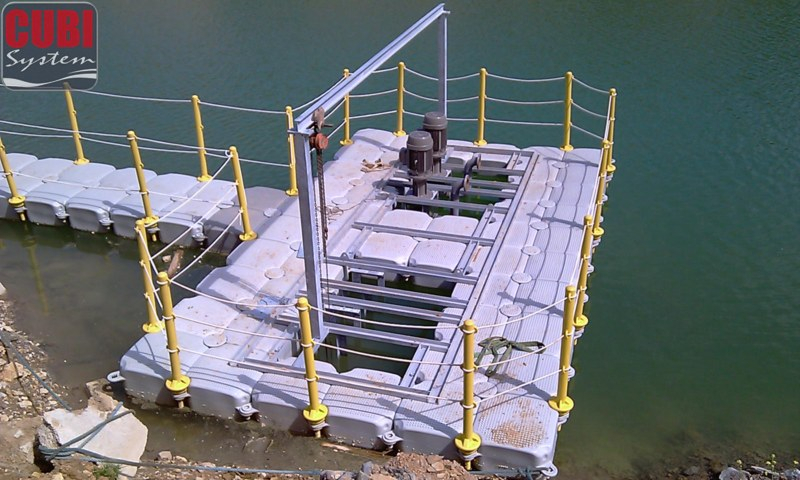 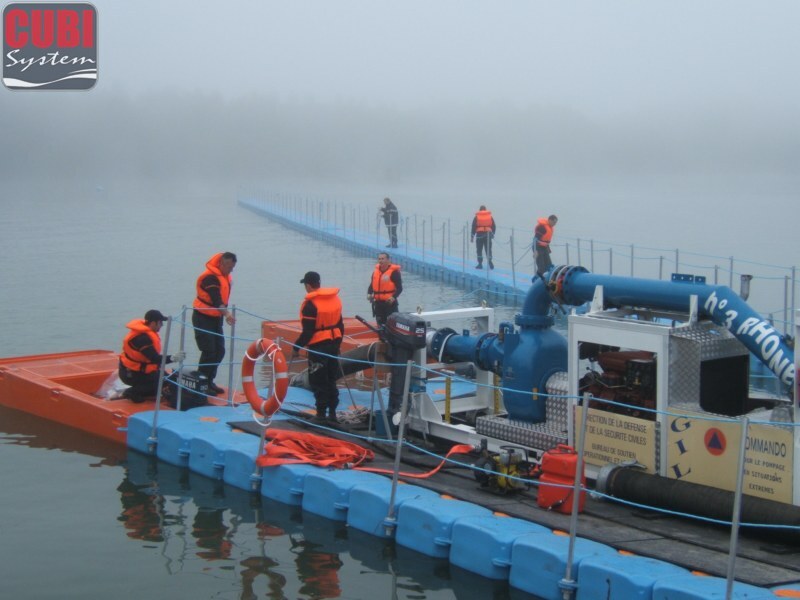 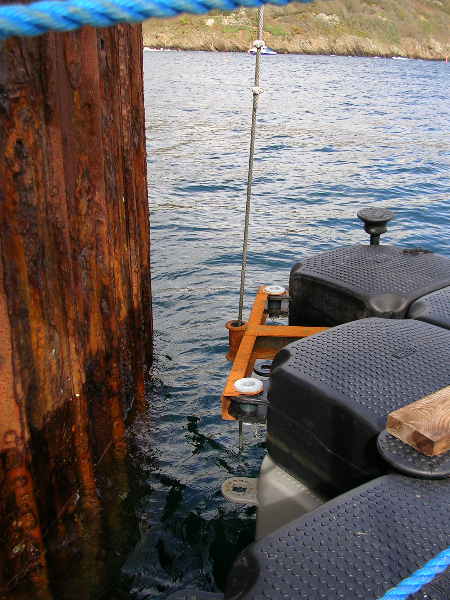 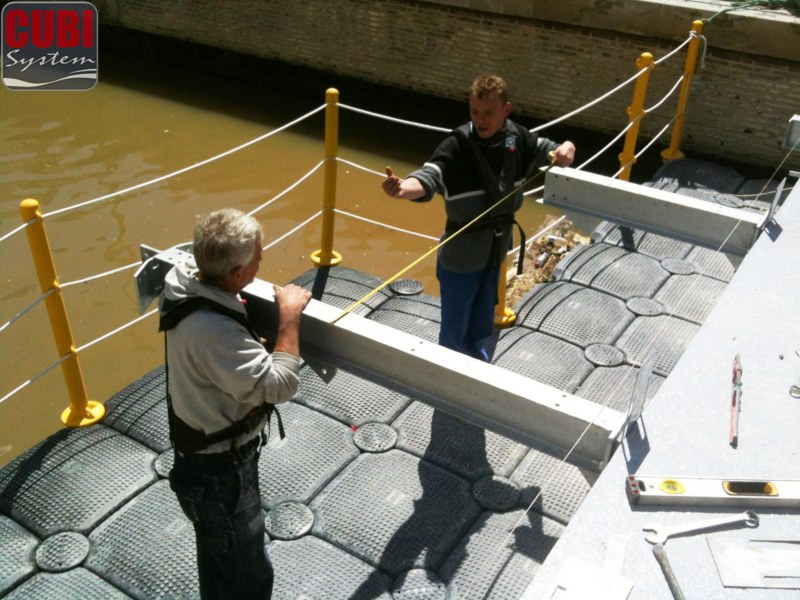 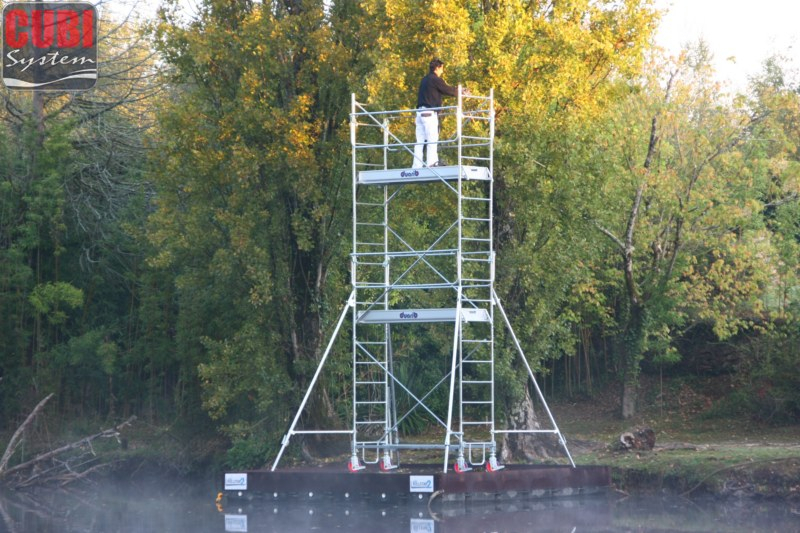 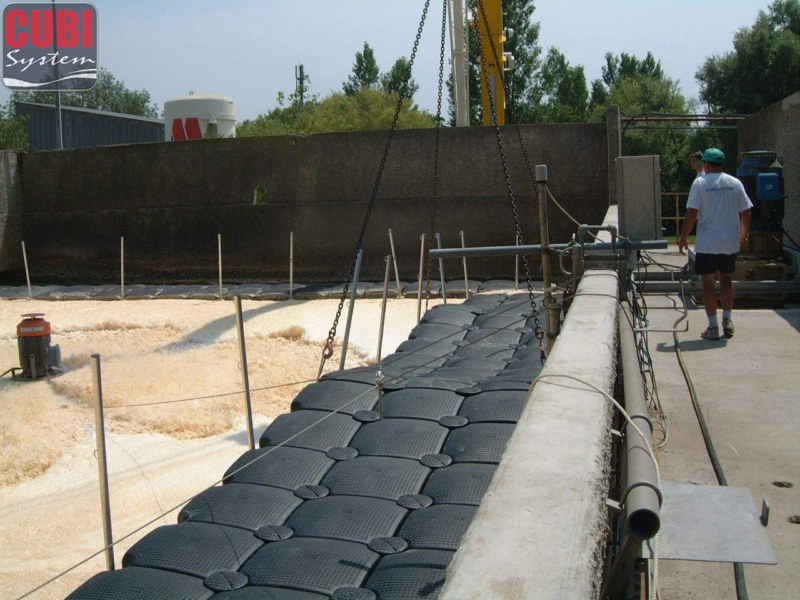 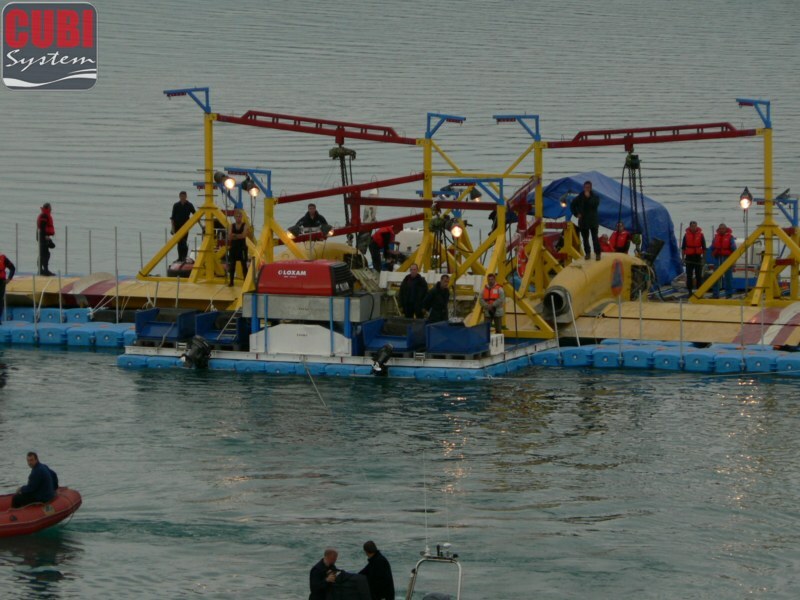 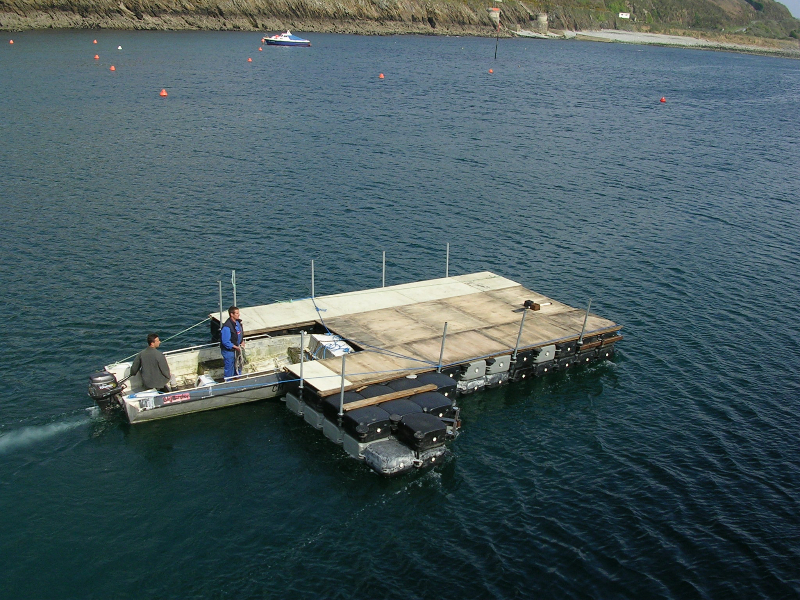 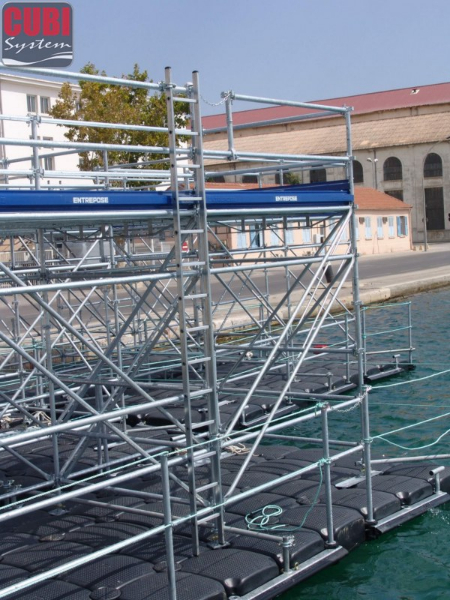 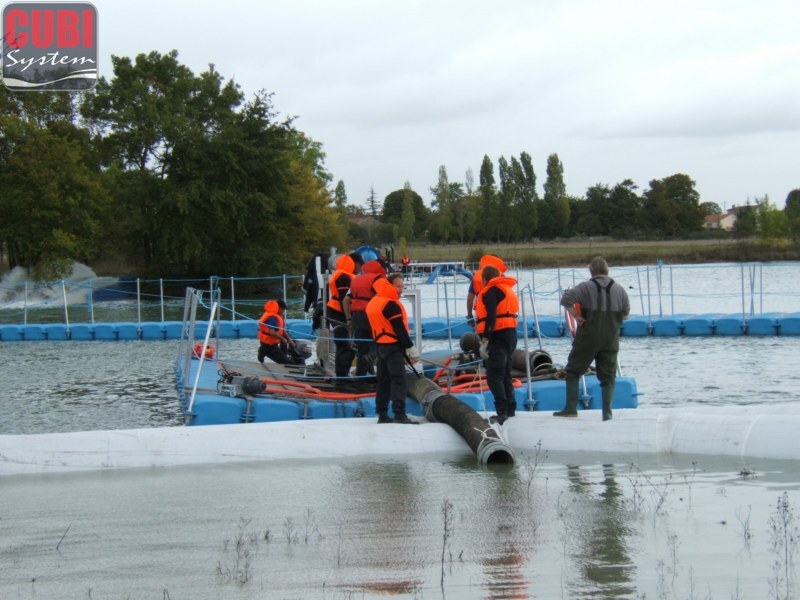 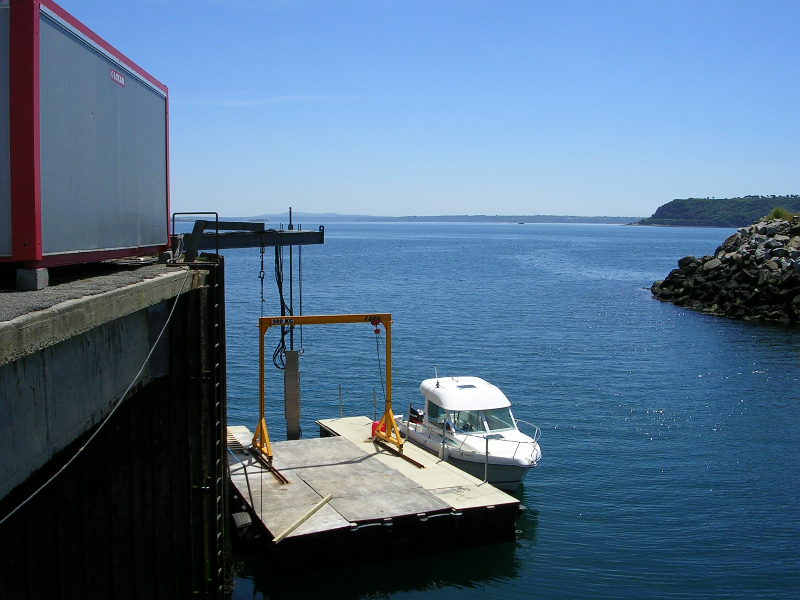 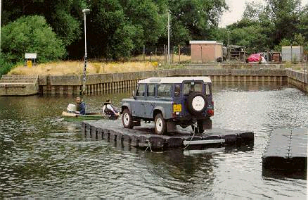 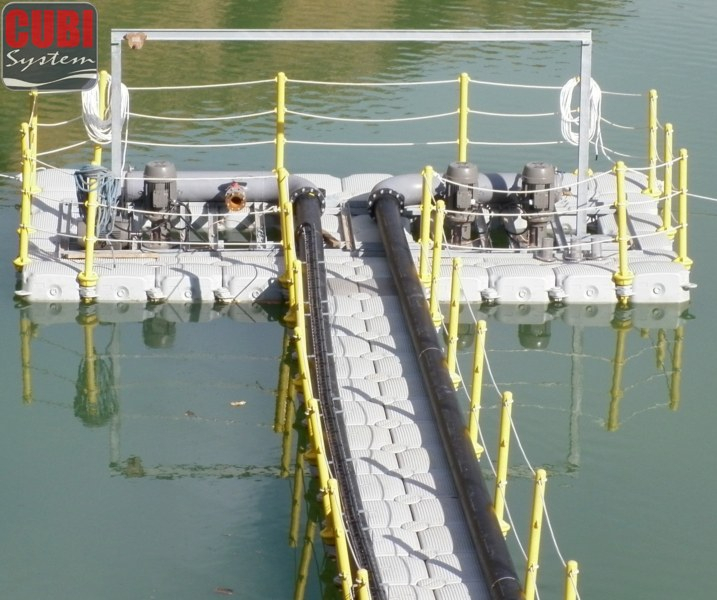 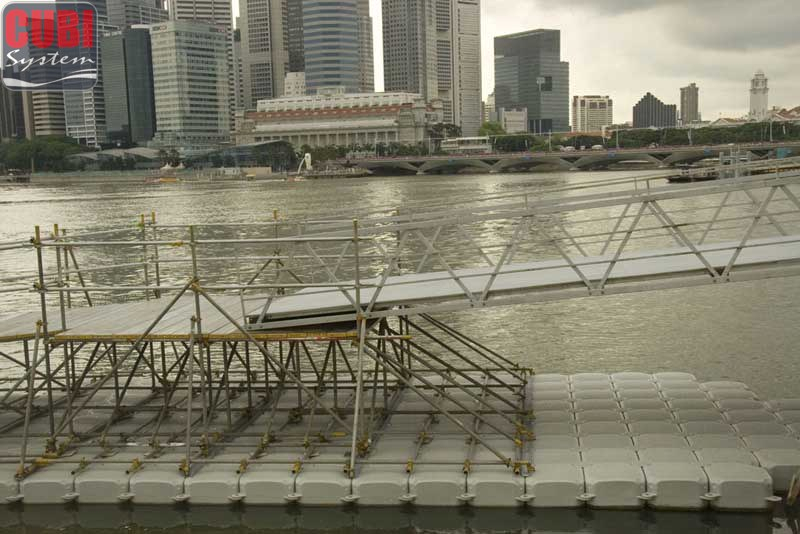 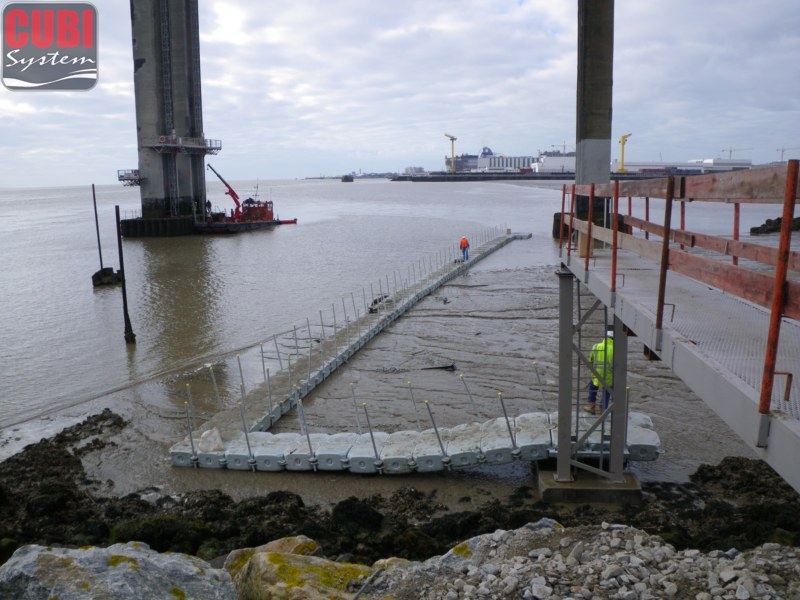 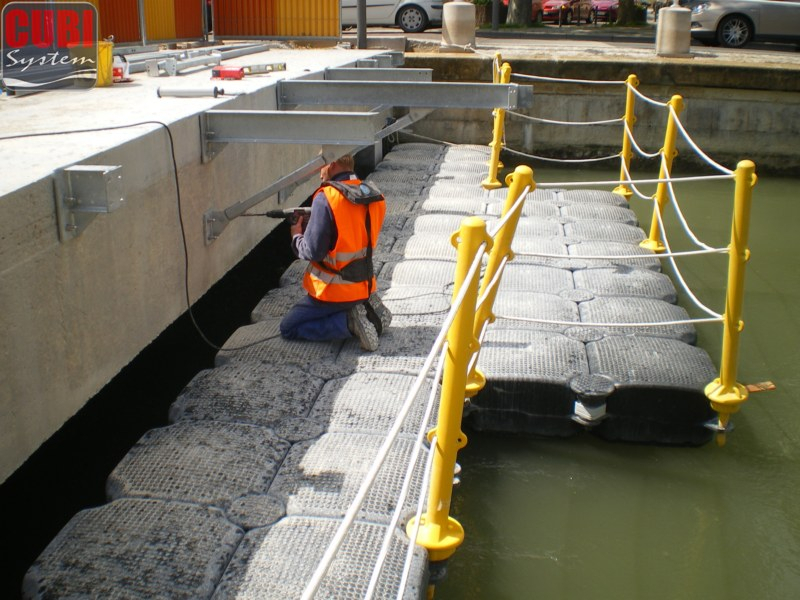 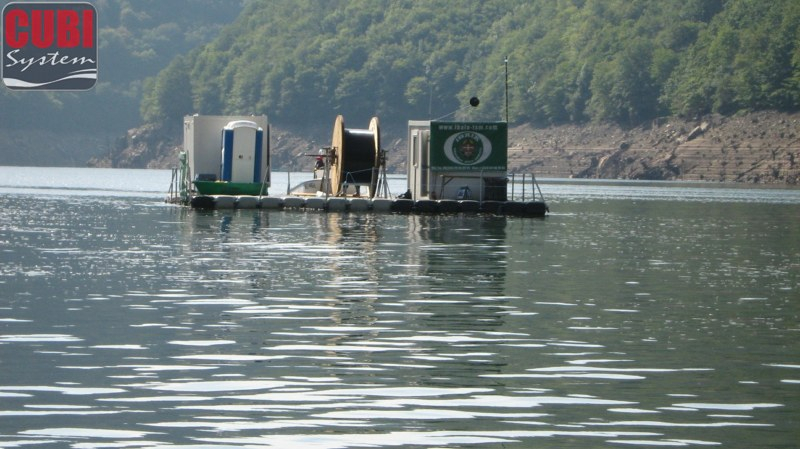 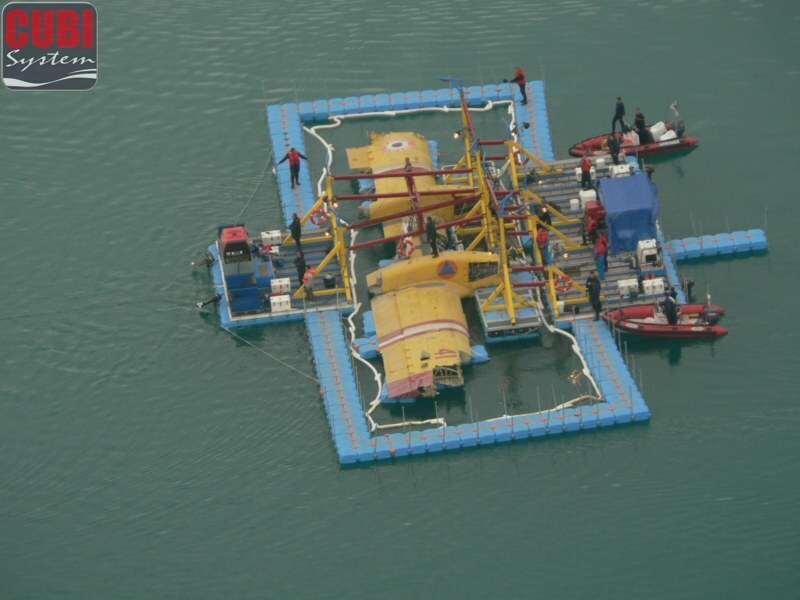 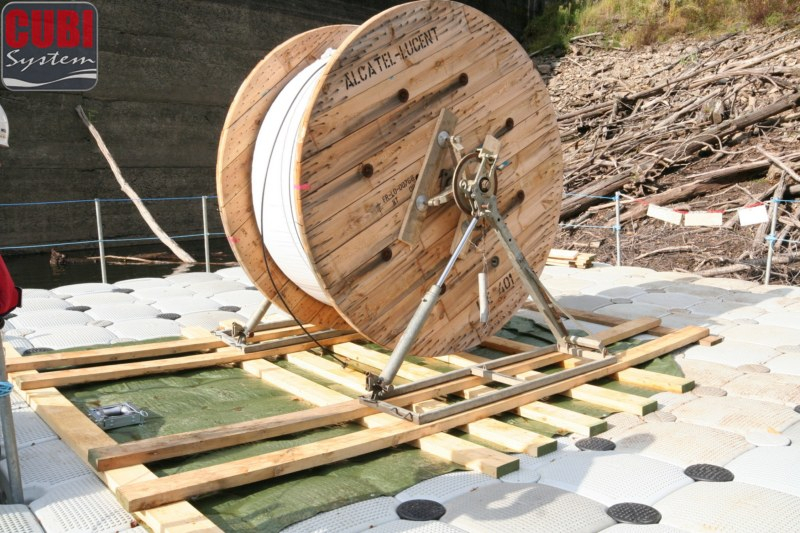 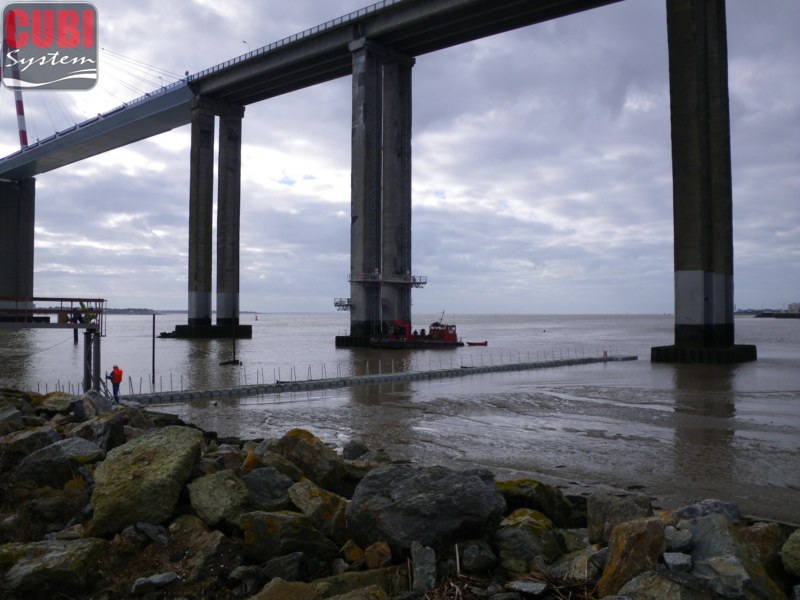 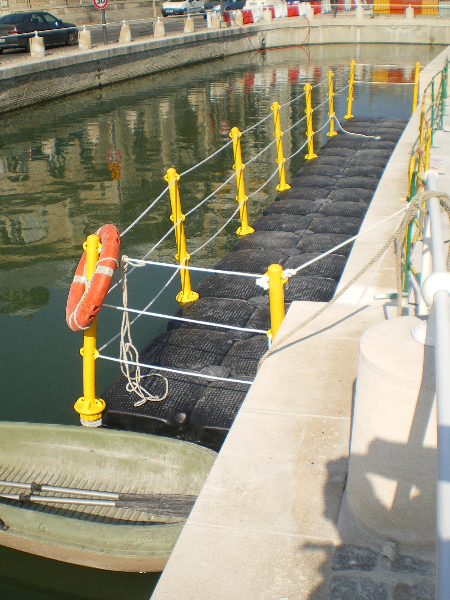 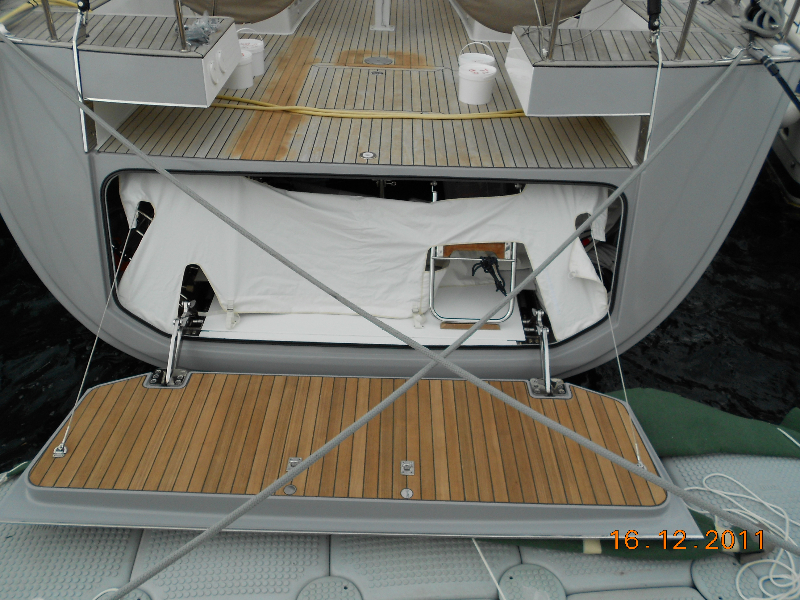 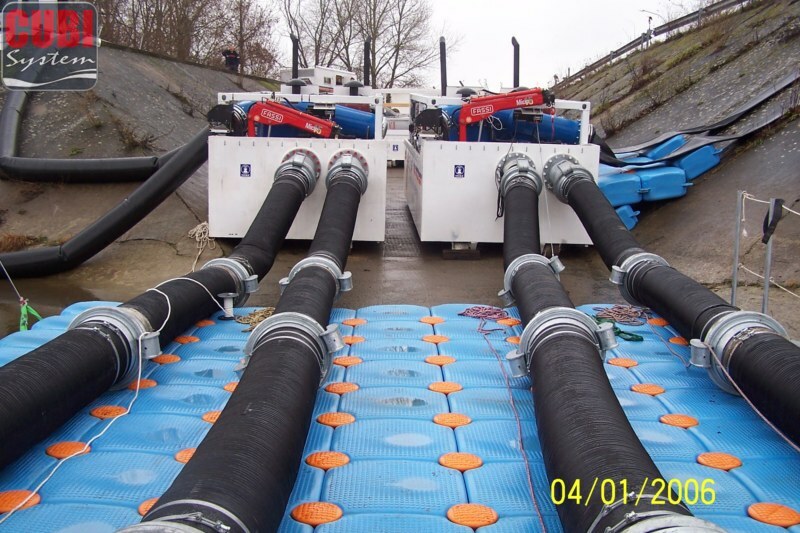 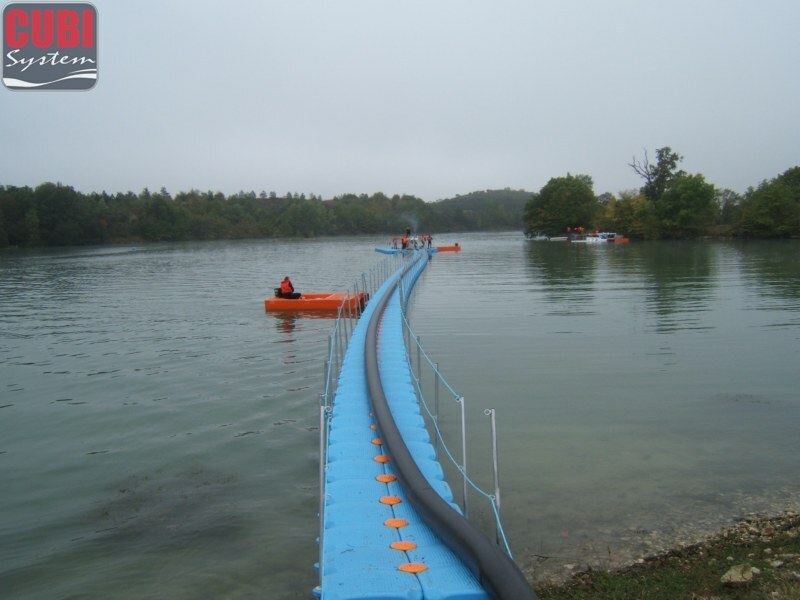 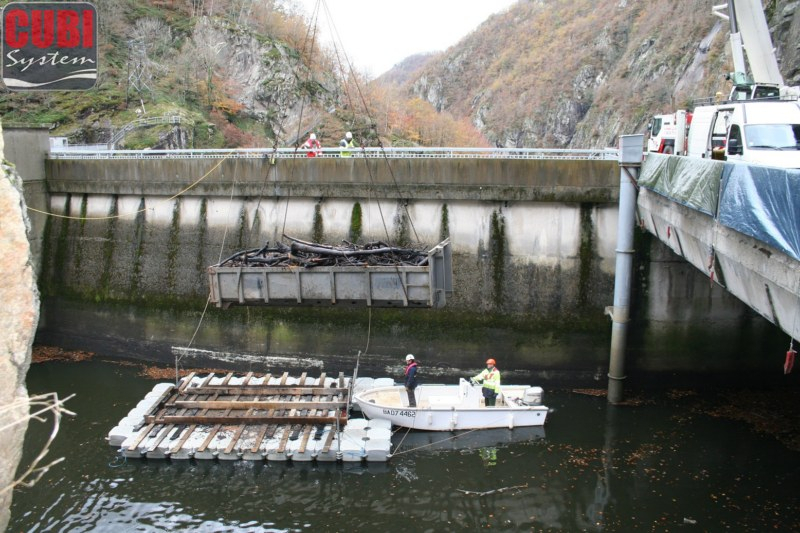 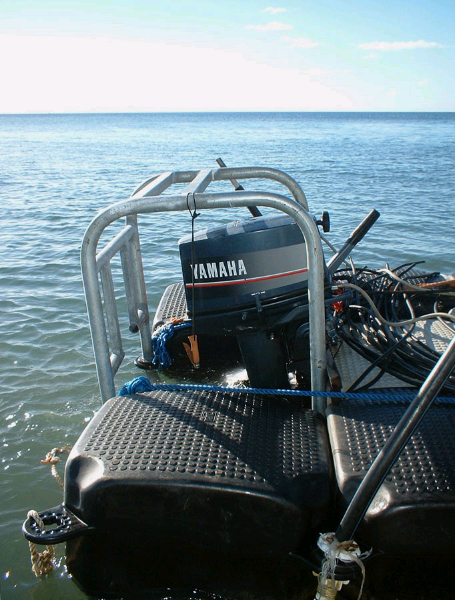 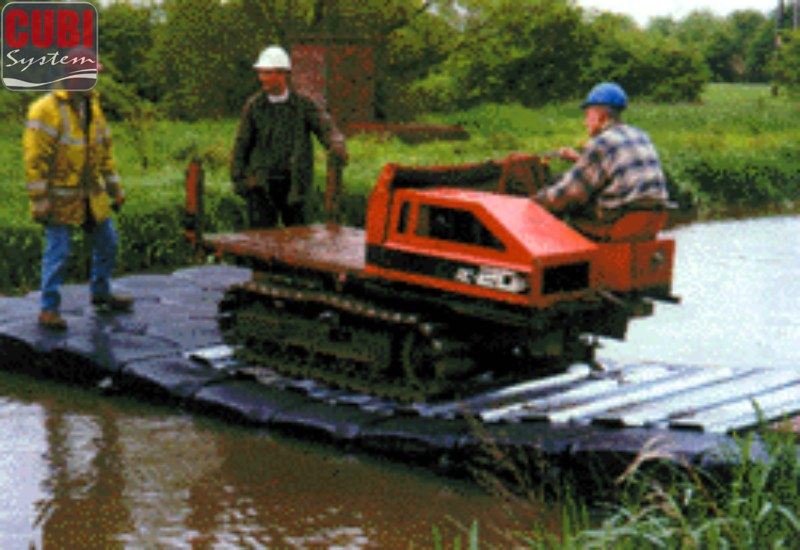 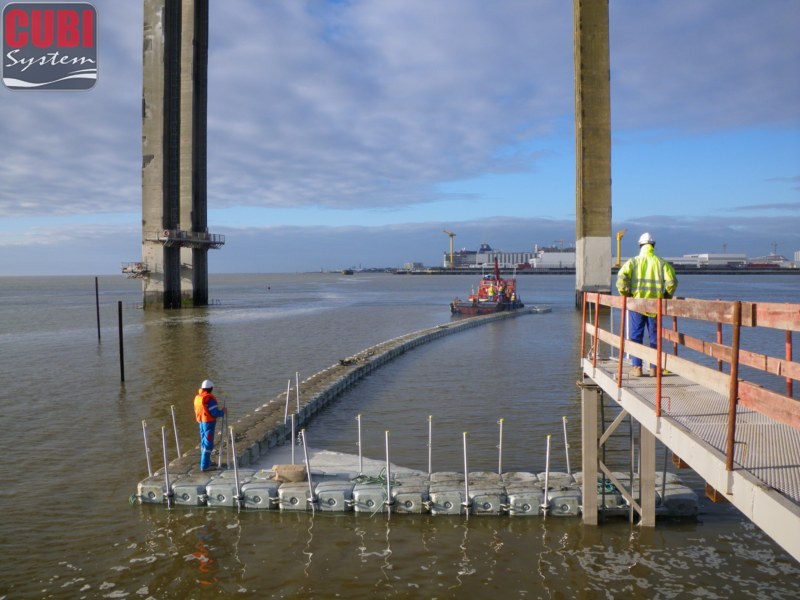 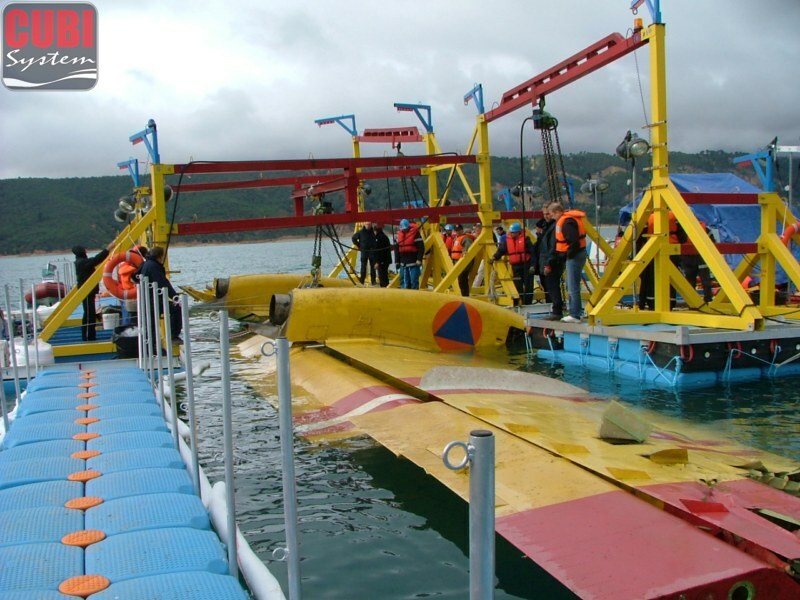 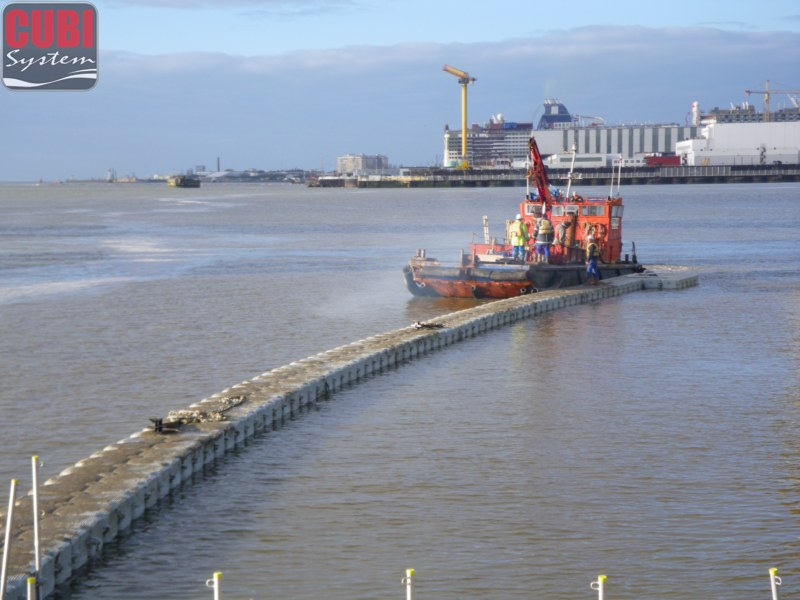 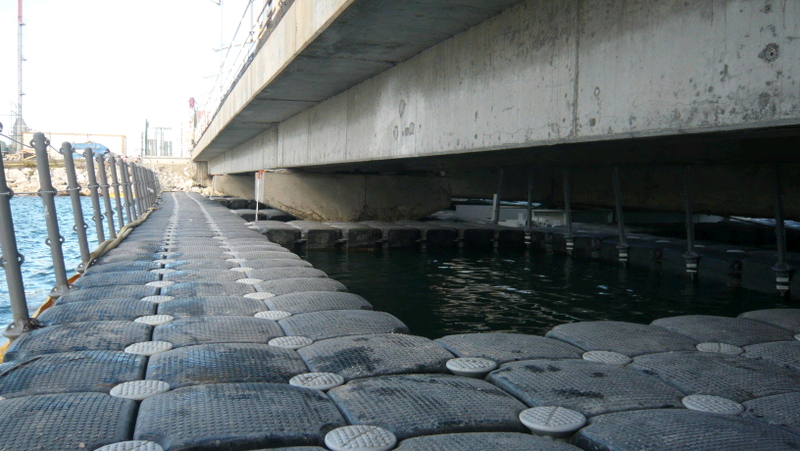 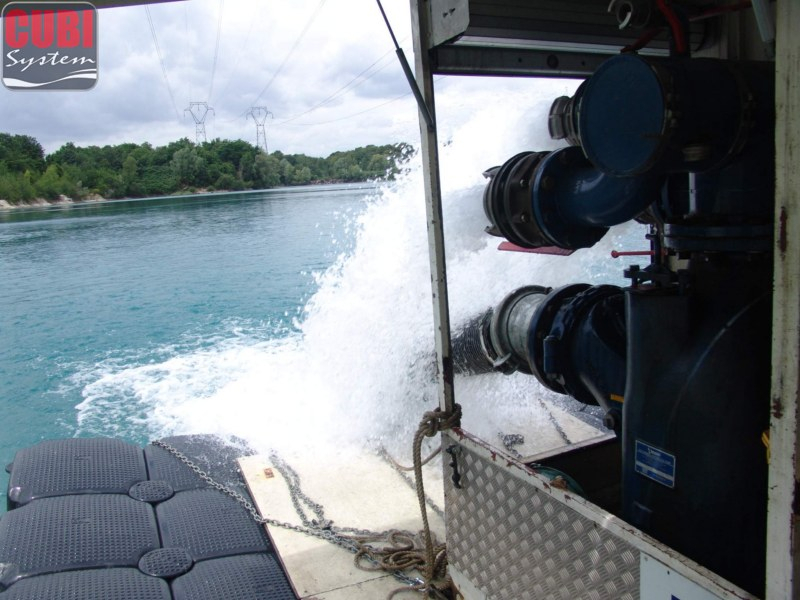 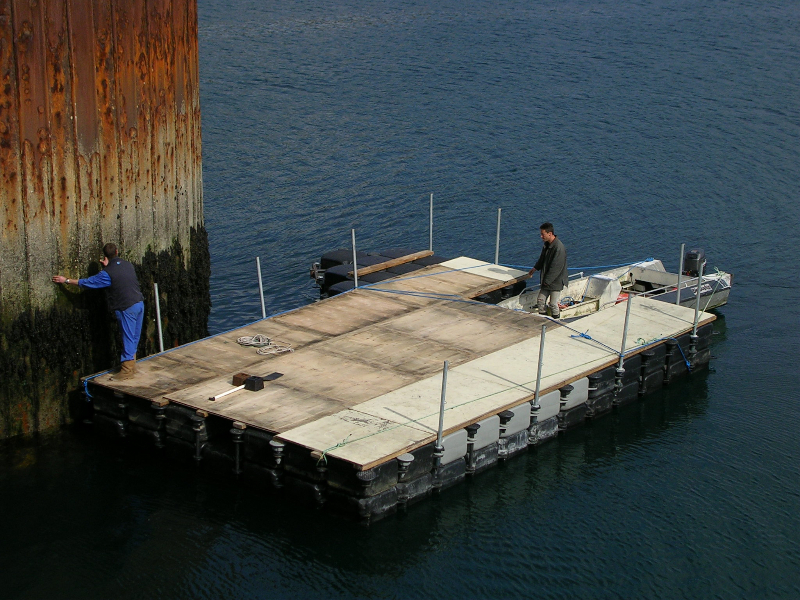 CUBISYSTEM modular floating pontoon systems are prized for their durability and reliability, and do not require heavy machinery for their installation. 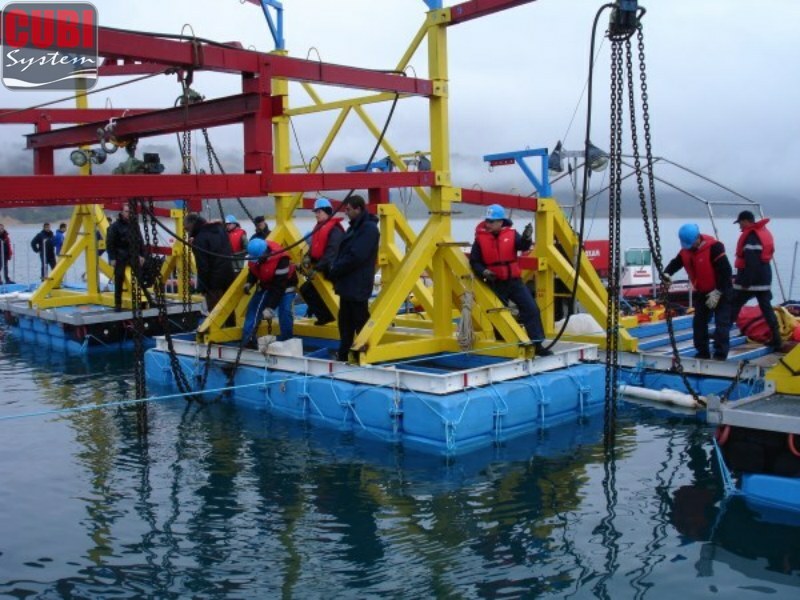 These qualities allow CUBISYSTEM to earn the confidence of these highly specialized professionals while fully respecting their technical and financial constraints.